It is not usual that you get three bubbles in a ten or twelve or thirteen year period. Normally one bubble will chew up twenty years because it leaves such a painful experience people don’t queue up to put their hands on the same stove and burn themselves again. But under Greenspan’s incredible leadership, he managed to give us the tech bubble and then by keeping interest rates at negative levels for three years drove up the housing bubble and then finally the risk bubble - everything risky - was inflated by 2007 and Bernanke has happily picked up the mantle and seems totally unconcerned about creating yet another bubble. He has interest rates so low, banks can’t possibly not make a fortune. The financial sectors incredible profitability has left even the most optimistic analysts behind. Just as two examples, Citigroup (C) and Goldman Sachs (GS) have reported earnings recently with both above expectations. As Grantham mentioned, the US real estate market has returned to its historical norm. While the UK and Australia do stand out, the really scary data point for me is for Spain. Even though prices there have fallen dramatically and transaction flow is anemic, prices are still incredibly overvalued. The Canadian data point may seem relatively benign but it hides the absolutely crazy real estate market in Vancouver. Just last month, the average detached house there reached $1 million Canadian dollars. There is no doubt that what we are seeing there right now is a bubble. Affordability is non-existent as the average Vancouver home owner is now paying 68% of their disposable income towards their mortgage (compared to 30% for more sane cities like Ottawa). If you don’t believe how crazy Vancouver’s market is, take this quiz: Crack Shack or Mansion? Of course, the fact that there is an imbalance in one localized geographic area does not make it any less dangerous. After all, the US real estate bubble was really only localized within just a few states. For regulators and the central bank it is incredibly difficult to target these regional bubbles. If you’ll recall this was part of Greenspan’s imbecile defense of the US real estate bubble back at its peak. He claimed that since every real estate market is local there can not be a “bubble” in real estate. Cheap money distorts markets and provides people with a new set of incentives that drives bubbles. So while I continue to believe that Canadian real estate prices will move higher - for now - I dread to consider the consequences for the Canadian economy when the Vancouver real estate bubble implodes. They’ve changed the layout of their site and the link doesn’t work any more. Selct the video for April 19th. Thanks, I’ve fixed the link. Vancouver has had insane prices for well over 10 years. Friends of mine who moved out there pre-2000 had to share an apartment with someone because there was no way they could find any housing that they could afford at $10/hr. $1000 a month would get you a cardboard box on the street. This was 10 years ago. The problem with Vancouver is loads of Chinese money coming in and buying up all the properties. So, essentially, you should consider Van an extension of the China bubble, not a representation of any Canadian bubble. Outside of the 3 major metropolises, very affordable houses can be found in Canada - and in the small towns you can even find Michigan-level pricing. good point re Chinese money and the affordability in non-metro areas - my concern is that when the Vancouver market does pop, it will undoubtedly negatively effect other markets. Babak, I’m not sure. I don’t know if there’s much connection between the BC Coast and the rest of Canada, economically. And besides, with our government tightening mortgage eligibility rules, and with the constant flood of Chinese & Japanese expat money into Vancouver, I don’t really think it’s a bubble, just price inflation. The money will always be there. Besides, it’s been like this so long, we’ve all just gotten used to Vancouver being insanely expensive… maybe it’s like Americans and Manhattan? Your comments remind me of very similar talk about Nortel Stock. prices kept going up for years. I will assume that you are in your late 20’s or 30’s and really have not seen anything that is about to happen in the real estate market. In the early 1980’s real estate in BC fell in 18 months 50%! Yes, it did recover, after killing off many people who lost their jobs and people who owned rental properties etc. 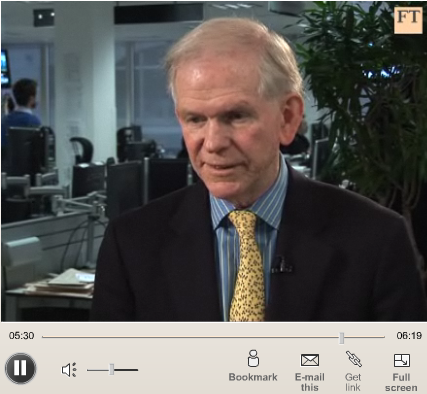 M. Grantham talks about the Australian housing bubble. Sent a note a couple of days before the interview which might be of interest. Thanks Damien, how much of the Australian bubble is a spill-over effect from China? Some are suggesting that both Australia and Vancouver are nothing more than emanations from the greater Chinese bubble. Rob, I am wondering whether Japan had an oversupply of property at the time its property bubble burst 20 years ago, and I believe is still down ~60% today (20 years later).